Omron released its first In-panel temperature controllers, the E5ZN series (2 loops in 22,5 mm width), in 2001.These were, followed by the EJ1N series (4 loops in 31 mm width) in 2006, which further enhanced control performances and space saving. The latest addition to the NX-TC series is a new generation of smart devices that are designed to achieve optimal and automatic temperature control without human intervention. In fact, from now on all adjustments typically made in the field by experts will be automated using Artificial Intelligence. With standard temperature controllers, it can take a long time to define initial start-up PID settings. And it can be even more challenging to make optimal adjustments without many years of experience in this area. 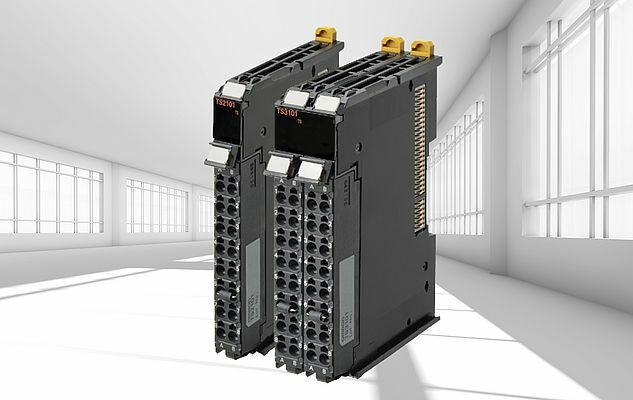 That is why Omron developed the NX-TC Series with "adaptive control technology”. This automatically detects changes in the process under control and adapts the PID accordingly. The result? A perfectly tuned PID algorithm and ultra-stable temperature control. On a conventional sealing machine, temperature sensors are often located too far from the sealing surface of the heating bar. This can cause a difference between the temperature of the sealing surface and the actual control temperature. The temperature difference and the resulting number or sealing failures increase as packaging speed accelerates, and directly in correlation with thinner packaging materials. For water-cooled extrusion molding machines, increasing the throughput speed often leads to temperature variations due to various factors such as the extrusion material compound and the cooling water. For a human operator, this means having to make repeated valve adjustments to stabilize the product quality. This is very difficult to achieve in high speed production while also maintaining the quality. Not anymore! The NX-TC has a water-cooling output adjustment function that keeps temperature variations to a minimum, increasing production capacity while maintaining quality.